Have you ever wished you were more intelligent? We all have. However, most of us accept the fallacy that, as adults, we are doing well to simply hold onto the brain cells we’ve got. It’s the rare individual who understands that brain cells continue to develop as a person ages. This is called neurogenesis. Adult neurons don’t develop at the same rate as those of a child, but they do have the capacity to grow. Ker Than writes, “The apocryphal tale that you can't grow new brain cells just isn't true. Neurons continue to grow and change beyond the first years of development and well into adulthood, according to a new study.” Once employers get a hold of this truth, they will be empowered to maximize employee intelligence in new and exciting ways. One way to increase neurogenesis and maximize intelligence is by learning new things. 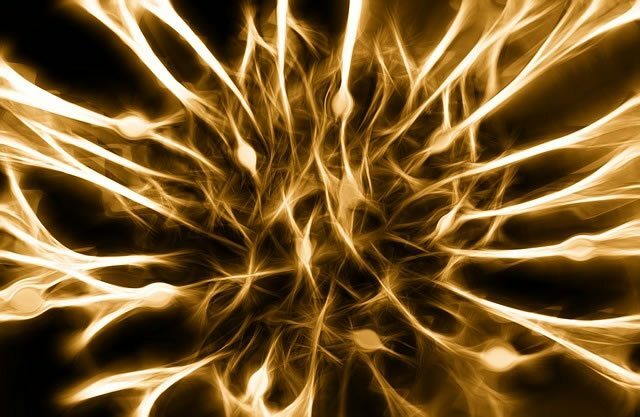 Dr. Sandrine Thuret, principal investigator and lecturer in neural stem cell research, says, “Learning will increase the production of…new neurons.” (She’s referring to neuronal production in adults.) It’s as simple as that. Obviously, there are many vehicles that promote learning, but one of the most effective is a social learning management system (LMS). The article How Learning Management Systems Support Deep Learning says, “Deep learning happens when each learner is offered a truly personalized learning experience. As you may have guessed by now, e-learning has the upper hand on deep learning compared to the traditional way of making learners grow their brains. This is because learning management systems can store enormous amounts of data, which help teachers and trainers create customized courses for all learners." Learning paths – Would you agree that educational courses are often overwhelming? Almost everyone has walked away from a course dejected and having learned nothing. This usually happens when a course is not broken down into digestible pieces. Unfortunately, some eLearning course designers don’t get that people can only assimilate so much information in one sitting. Customized learning paths, a common LMS feature, basically takes a course and slices it up into several easy-to-absorb lessons. This feature guarantees knowledge retention and brain cell production. Language localization – There is no better way to customize a learning experience than by making content available in a user’s native language. Many cloud-based social learning management systems can be deployed in vast number of languages. This feature makes it much easier for employees to receive the depth of learning needed to grow professional skills as well as brain neurons. Social learning tools – Did you know that over 70 percent of what we humans learn is learned informally? Employers can capitalize on this by providing their employees with an LMS packed with social learning tools. Realtime chat, personal profiles, web conferencing, and controlled access to social media all promote informal learning, and thus cause new brain cells to grow. Employers who want to maximize employee intelligence must get training out of the classroom and online. In-person training is simply not as customizable as online learning and might not always provide a deep learning experience. With eLearning, courses can be tailored to all types of learners (visual, auditory, kinesthetic, etc.). Not so with courses taught in a physical classroom. Science confirms that learning increases neuronal production. Research confirms that social learning management systems promote knowledge retention, which is an indicator that deep learning has taken place. If you haven’t yet tapped into your employees’ brilliance with an LMS, now is the time.